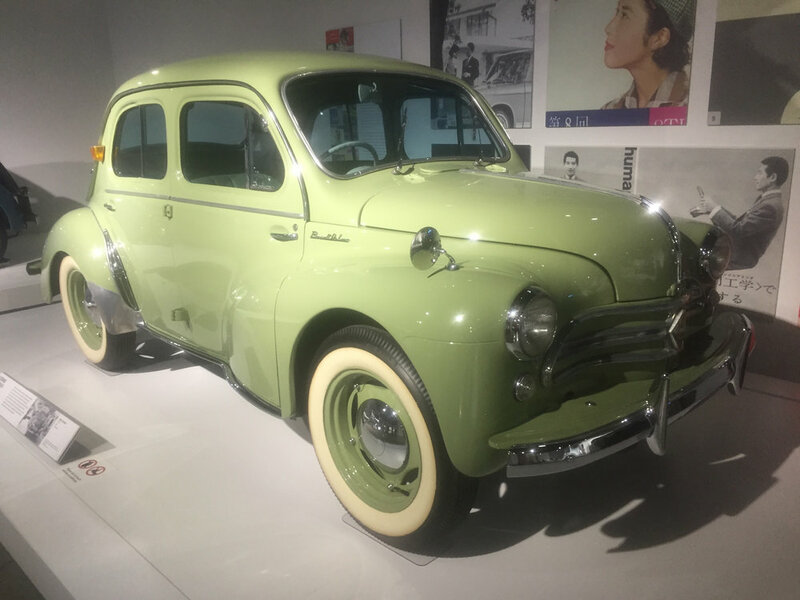 Hard as it might be to believe today, Japan’s auto industry started out modestly, often offering little more than copies of other country’s products along with micro cars showing motorcycle roots with chain drive and skinny wheels. Most were tiny, cartoonish little scooters with sewing machine-like engines that stressed economy over performance or Detroit style comforts. Americans didn’t hear much of anything about Japanese autos until the 1960s. Then, what had started as a trickle became a market-share-devouring deluge, even though well-known successes like the Honda Civic and Toyota Corolla didn’t make a big splash until the 1970s. Though little known stateside, Japan’s auto industry flourished before any of their products arrived here. Sponsored by Nissan, but featuring a wide variety of makes, Los Angeles’ Petersen Automotive Museum’s “The Roots of Monozukuri: Creative Spirit in Japanese Auto making” shines a bright light in this dark. This beautifully mounted display of Japanese iron includes a breathtaking Toyota 2000 GT, and an elegant Mazda Cosmo, alongside selection of tiny Japanese-domestic-market-only sedans and coupes unknown in America, with even a Japanese licensed 1962 Hino-Renault 4CV designed by Ferdinand Porsche looking fresh as new. In fact, all the cars here are gorgeously restored to like-new condition. Japanese phenomena like anime, Hello Kitty, and J-Pop offer convincing proof the country knows its way around “cute,” a tendency that’s well reflected in the tiny cars glittering in the lights of the recently remodeled Petersen. Sponsor Nissan is well represented alongside competitors including Mazda, Toyota, Honda, and Mitsubishi. Open through April 2019, the Petersen’s show offers museumgoers a rare chance to see some fascinating automobiles rarely seen outside their homeland of Japan.